Capsule wardrobes have become a trendy catchphrase, but that doesn’t mean we think they’re going away anytime soon. Most modern women appreciate the simplicity of a streamlined wardrobe. Paring down your options is less about setting limits and more about emphasizing the pieces that you already know and love -- the ones that you return to again and again because they make you feel good. We believe jewelry is an essential part of your wardrobe too. Whether it adds a touch of elegance and sophistication in the boardroom or an eye-catching sparkle for girls’ night out (or date night! ), jewelry adorns and highlights your best features. 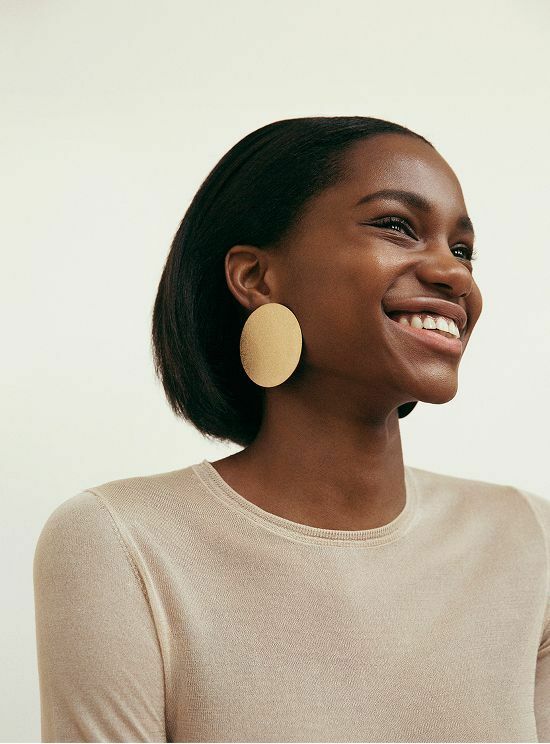 A capsule jewelry collection works much the same as a capsule wardrobe: you will curate a practical, personalized mini collection of jewelry pieces that allows options for any occasion. Simple studs. Perfect for everyday wear or a minimalist vibe, studs provide understated adornment that’s tried-and-true. Whether your studs are diamonds, another gemstone or even a lovely brushed or hammered metal, these are the pair of earrings that you’ll reach for again and again. Statement earrings. Your statement earrings are a true reflection of your style. Some women prefer giant sculptural pieces that add interest to an elegant updo. Others veer toward hoop earrings. Some prefer fiber pieces, with leather or tassels. Find what works for you, then reach for these when you want to make a statement! Long chain necklace. Long chains, often weighed down by a heavy stone or a constellation of sparkling stones and metals, can elevate anything from a plain t-shirt to a little black dress. Because they’re meant to be seen -- to really embellish what you’re already wearing -- the necklace you choose should be something you love. Some women opt for a piece that will “go with anything,” while others use long necklaces as an opportunity to add a burst of unexpected color. Minimalist necklace. Not every day calls for a long, head-turning necklace. Sometimes a simple, delicate chain will do. We love the pared down fashion of a minimalist gold chain with a single diamond or topaz that lays daintily near your collarbone. It's an elegant addition to even the simplest of outfits. Cocktail ring. Feeling fancy? There’s nothing like a statement ring to up your jewelry game. These pieces sparkle from a mile away -- and you might catch yourself enchanted by the light it reflects as your evening wears on. While cocktail rings might not work for everyday outfits, they are the perfect final touch to an evening out on the town. Delicate stacks. Here at Lucy & Mui, we have a penchant for simple, delicate design. Stackable rings are one of our favorite current trends because they can work on any woman, and with every outfit. They can also be separated, worn on different fingers, changing the look. Don’t worry if you can’t decide on one ring that you love. The beauty of stacking rings is that you can mix styles, metals and even stones. 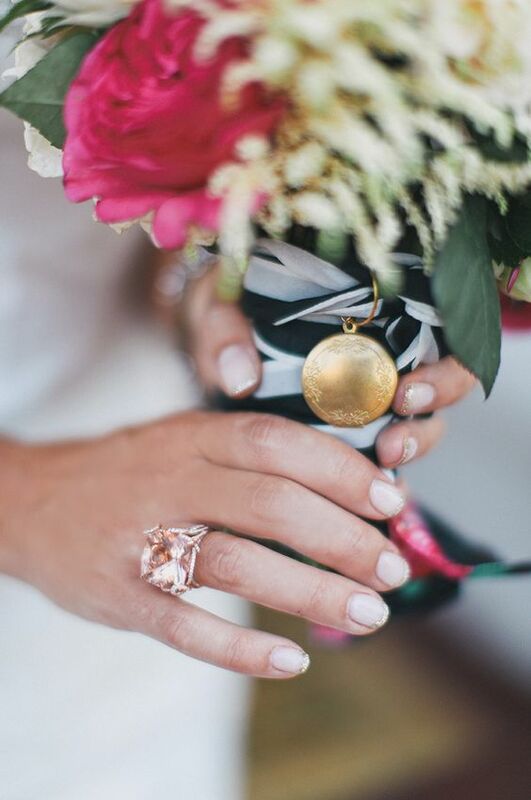 We love the look of mixed metals, with a tiny diamond ring added for that extra bit of sparkle. The cuff. Whether your cuff is a solid piece of hammered metal or a fun stack of thin bangles, adding jewelry to your wrist is a fun way to take your outfit to the next level. Some women even love the practicality of metallic or ornate watches, which function as both a cuff and a timepiece. The sky's the limit when it comes to wrapping your wrist -- it’s all about what you love, and what you imagine yourself reaching for time and time again. 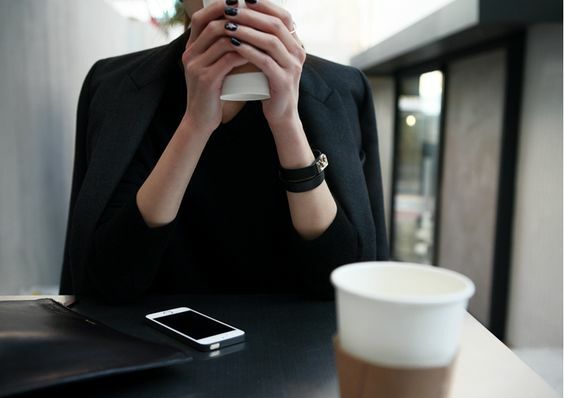 Whether you're paring down an existing jewelry collection or building a jewelry capsule from nothing, remember to enjoy the process. Curating your personal jewelry collection is about choosing pieces that speak to you. Adorn yourself with metals, stones and fibers that make you feel beautiful. Have fun! Add to your collection slowly and thoughtfully, and you will have a jewelry capsule to enjoy for years to come.